Buying a smartwatch doesn’t have to cost a small fortune, especially if you are after a Gear watch from Samsung. 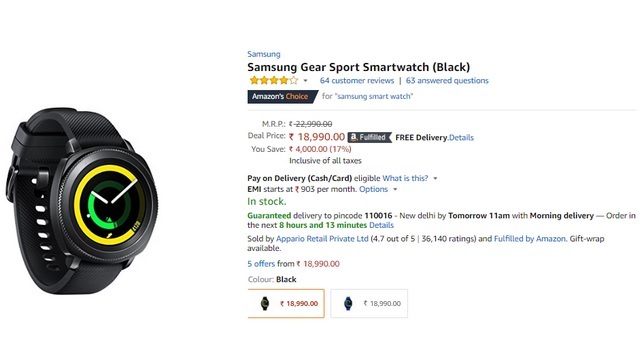 In the ongoing Samsung Days sale, as part of which, Amazon India is currently offering a sweet 17% discount on the Samsung Gear Sport smartwatch. Both the Black and Blue color options of the smartwatch, which carry a price tag of Rs. 22,990, are now available at just Rs. 18,990 following a Rs. 4,000 price drop. You can get a further discount by adding Amazon Pay balance. For a minimum balance recharge of Rs 1,000, you will get Rs.100 cashback. Smartphone connectivity to keep a track of notifications, incoming calls and messages is on board, alongside support for dedicated fitness apps to keep track of one’s health and workout progress. Users can also customize the device with custom watch faces and change its design by swapping the standard 20mm watch straps. 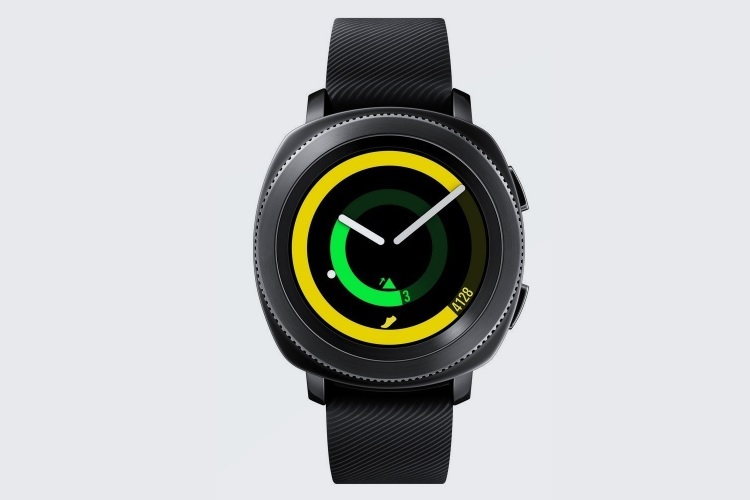 The Samsung Gear Sport smartwatch features the company’s unique rotating bezel design, which is used as a gesture input to perform a host of tasks by just rotating the bezel. The smartwatch offers 24×7 automatic activity tracking and is also water resistant up to a maximum depth of 50m. However, you must hurry if you want to take advantage of the deal, as the Samsung Days sales fest expires on May 31.